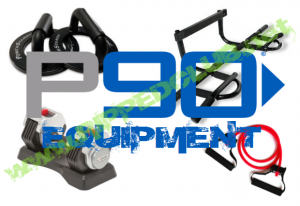 Part of ensuring that you get the absolute BEST results possible is making sure that you have the right tools to do so – which makes it even more important that you know what equipment is needed for P90! There are a ton of options out there when it comes to equipment and how that mingles with your goals and your budget, so I am just going to cover what equipment you NEED for minimum requirements to complete the program and then we can cover what some mo-betta options might be for P90 equipment. Ya, “mo-betta”…Thats MY word…you cant use it! What Equipment Do I NEED For P90? Again, I am first going to talk about what you need at a MINIMUM, then I will get into a few other options that can help you get even better results! 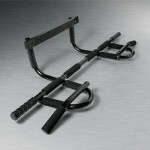 These are going to be essential for some of the low resistance moves with P90. One of the great advantages of resistance bands is that if you are on a budget, you can keep your cost to get started with P90 super low. Not to mention they are super easy to stuff in your suitcase when traveling. 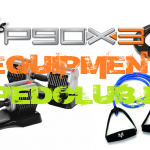 Basically with P90, you have no excuse to NOT do your workouts on the road. 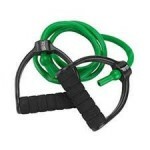 With resistance bands, you are also going to get a great introduction to what resistance training is. Lifting weights can be intimidating for some and bands are a great way to start your fitness journey. For people who are just beginning their fitness journey, high impact moves can put unnecessary stress on your joints. A yoga mat or jump mat is the perfect solution to add some cushion to the already low impact moves in P90. 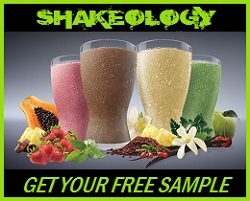 This way you can progress through the 90 day program with being hindered by aches or pains. THATS IT! You seriously dont NEED anything else. You can use your resistance bands for all the moves that would traditionally require a pull-up bar or free weights, and the yoga mat will round out your P90 equipment needs! What Euipment Do I Need With P90 For The BEST Results? These pieces of equipment are going to allow you to build stronger muscles, add more muscle mass, and burn more calories (since you will be building more muscle). Let me rephrase that real quick…These pieces of equipment are not ESSENTIAL but will help you get better results IF you are smart about your recovery process. Bands are great if you have somewhere high enough to attach your resistance bands or if you have a thick enough band to offer enough resistance. When you go with a pull-up bar, you have a full range of resistance. You can choose to do completely unassisted pull-ups if you are capable or if you are just getting started doing pull-ups for the first time, you can toss your feet up on a chair and use your legs to “assist” you in getting that chin over the bar for a full pull-up. More resistance with great form within the proper rep range equals mo-betta! << MINE! I own these and they are incredible if you have wrist issues when you are doing push-ups. What they do is align your wrists with your forearms so that the pressure is removes from the bending of the wrist and is transferred into the bones in your arms which are far more sturdy. Plus you have the option of a larger range of motion. These are like the awesomest invention since rc cars were invented (just geeked out for a second, sorry). You dont need the giant weight rack that the gym has and you dont need a ton of space for storage! 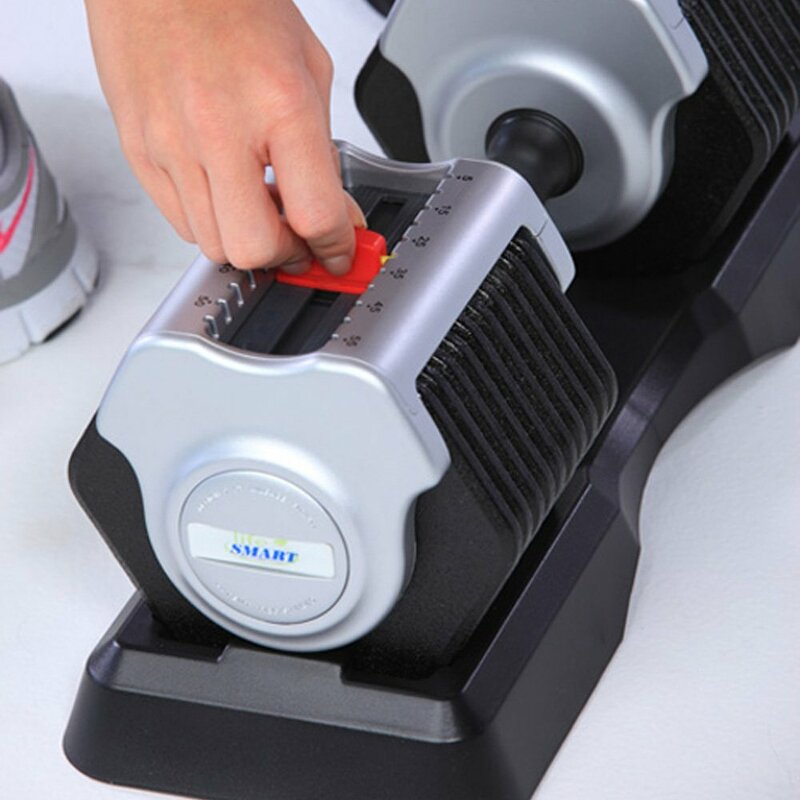 Basically you can get a single set of dumbbells that can adjust anywhere from 5-55lbs and in some cases, depending on your budget, you can go up to 109lbs. If you are doing P90, you probably will be good with some dumbbells that go up to around 40lbs. You can find some decent deal on amazon.com or ebay.com! Or just click here for what Google brings up. Obviously you can get by with very little equipment for P90 and still get incredible results. Its a matter of making the exercises challenging with what you have available to you. 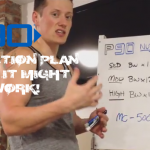 I have suggested the P90 equipment that I think will help you get the best results, but I have also shared what you can do without if you are on a budget. Either way…the results are up to you! PS – If you like the hard work I put into writing my articles and videos, PLEASE help me out by sharing them. Click the buttons to the left there and share them on FB, twitter, etc. 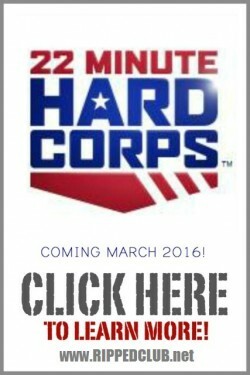 It really helps us get more exposure and grow our RIPPEDCLUB team! PSS – If you are looking for some 1-on-1 advice before giving P90 a go, be sure to make me your free coach here. If you would like to know the HOW-TO of getting results as well as how to prevent failure, be sure you take a look at my FREE 5 Day Video Bootcamp Series.